Many of you have played Mantic's dungeon-delving game Dungeon Saga. Some of you looked at it and went, "yeah... but I prefer sci-fi games." 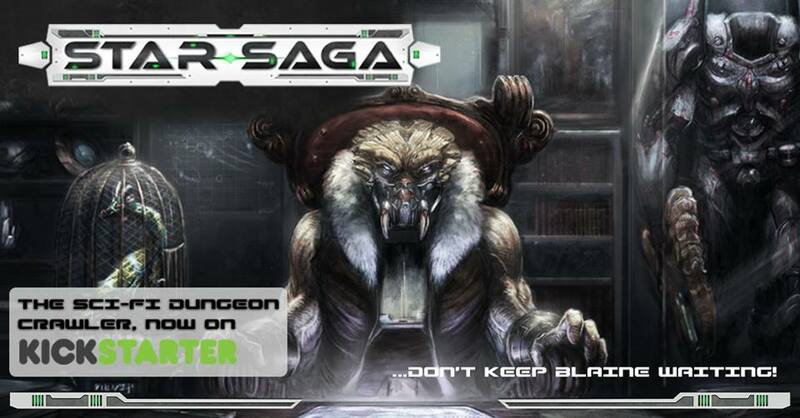 Well, your time has come as Mantic has launched their Kickstarter campaign for Star Saga, their story-driven dungeon-crawl game, but now based in the cold vacuum of space and on hostile alien planets. There you see the $100 "Core Pledge." It's... got a lot of stuff in it. The game is a sci-ti take on the dungeon delve game. It is heavily story-driven through the various scenarios that you can play. That story being a group of mercenaries looking to capture stolen technology out from under the noses of the guards at a research facility on the planet Eiras. Of course, that's just what you were told going in. Once you arrive, there's all sorts of surprises to come across. The Kickstarter campaign just launched and is already climbing pretty quick. Expect this one to make it through various stretch goals as they continue along for the next 25 days.